Dat ain't a bass....it's a HAWG! AWESOME Fish SH! That must have been amazing to catch from a kayak! Too cool! congrats! Thanks guys and yes it?s my biggest on a 5? senko worm. We are so fortunate in Florida for a great fisheries dept. This fish came from a man made lake used to hold freshwater when the river is to high. It?s flooded farm fields that they dug holes and and added structures too. She was in a foot of water chasing bait the catch was almost like red fishing in the flats the way she came after it. Was a great morning. Lol it was my most expensive fish I e ever caught according to the bride. Due to the fact I was borrowing the kayak was in because it?s a peddle drive and we were covering some miles. Needless to say I sold all my othe yams and bought a new version of that kayak a couple weeks later. It?s a hobie outback with reverse and it?s a fishing machine. Hands free is the only way to go with our spring winds that will drive you crazy trying to stay in position. Used down in the Keys last month and did great in big water as well. Next time I?m out I?ll get some pics with it. Krac?s this lake is not to far from Kicco May be worth doing a camp this fall for prespawn. One guy caught two this size in a month. Catch and realease lake but the numbers are crazy. 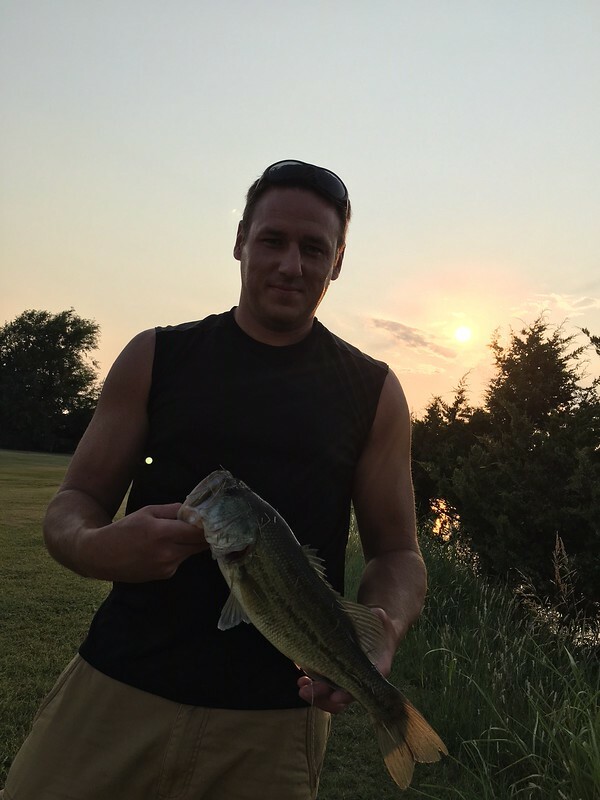 Tons of 3-5 lbers keep you busy. The waster I snlow right now so the reports of fighting the aquatic weeds aren?t worth it till it gets up. Well that one is a "WOW!" Nothing wrong with one, especially when it is that big. Yep, one beats none every time. Nice one! Have you guys checked out Lucky Tackle box?s tournament. You don?t have to have their subscription and it?s only $5 a tourney. The top 50 get prizes. A couple months ago I was in that group and got a hat and a easy $70 worth of Livingston lures. Way I look at it I?m in the Black even if I lose the rest of the year. You have to down load an sp and have a measuring board but it?s really fun. That actually looks pretty cool SH! I may give that a try. If nothing else it's another reason to get out and fish more! AND I don't have to compete against you guys in Florida! 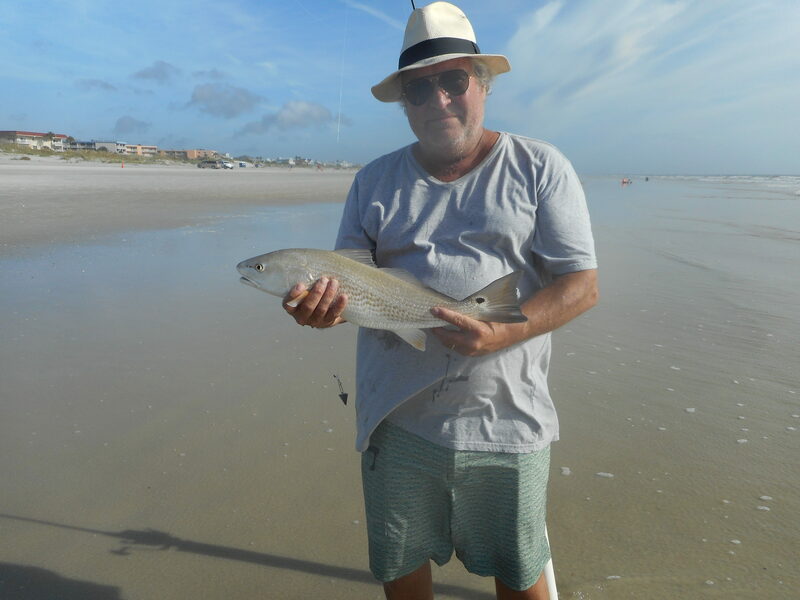 Redfish off St Augustine Beach south. Finally got the the rig and tides right. Good day at the beach. Very nice, Did you eat him. how long are you staying? Be there friday around 3. We're home. Let them all go. I had my new Crashblade filet knife but forgot a cutting board. Wasn't sure when we were heading home either. Might go back soon for a meat run. LOL. We fished and surfed. 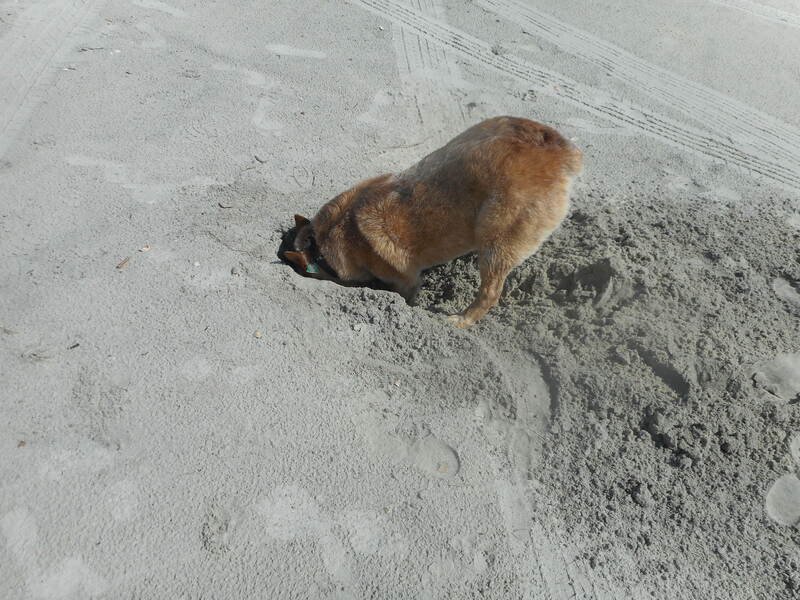 Max dug for crabs. He is still exhausted this morning. Bel caught her biggest Eye to date over the weekend! 21 inches! 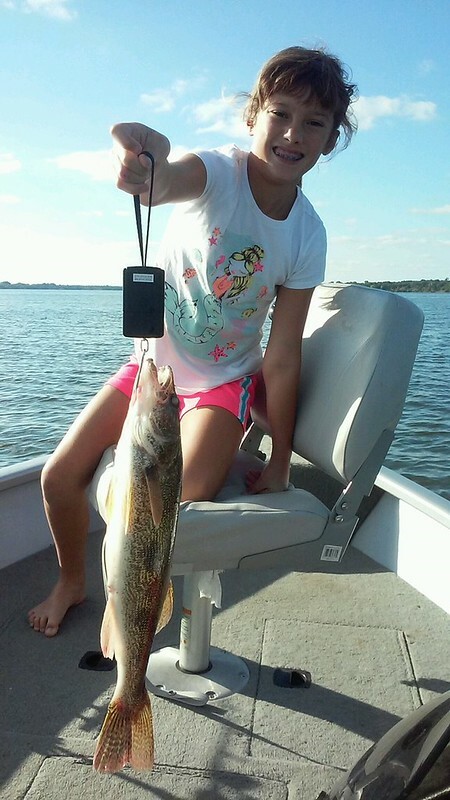 Very nice walleye! Always great to see a kid with fishing smile. Very nice fish. Congrats to you both.